Logistics Plus® expedited freight services – get a free and quick expedited freight quote on your next urgent shipment. We work with top expediters and hot-shot carriers while providing peace-of-mind service and support. 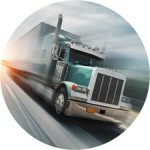 Use this form to request a quick quote for expedited freight or time-sensitive services.